A security system helps keep your family and property safe, and when correctly deployed can do absolute wonders for your peace of mind. Here in Avon, CT, security systems installation can be conducted by trained professionals who know how to do the job right. They will factor in the unique circumstances of your home before setting up a security system that amply covers every square inch of it. You can help out by doing some basic preparations of your own, which can help the electrician when the time comes to install the system. Here’s a basic guide for how to place for a new security system. Security systems basically need to cover three areas: the entryways, the interior space and the exterior space. That first element is the most important; you want to cover every possible way an intruder has to enter your home. Count all of the outside doors and windows on the bottom floor, as well as any upper story doors and windows that could be accessed from the ground. Each of these entryways will require an alarm system: usually a contact alarm that goes off when the entryway is opened. To that, you can add motion detectors and similar devices that go off whenever anyone crosses their field. (These can be adjusted so that they only go off when human-sized figures are movie, allowing pets to continue to move freely throughout the house.) Ideally, you want to maximize the efficiency of motion detectors, so look to mount them in either large central rooms (like the living room) or “choke points” like halls or stairways. Intruders will need to pass through such areas in order to get to the rest of the house. Finally, think about motion-sensing lights outside of your home, designed to activate whenever anyone gets close. Intruders thrive on the darkness, and lights are an ideal way to deny them a hiding place, as well as providing a much more welcome light for you when you arrive home. For more on how to plan for a security system, or to set up an installation session, talk to the experts at Electrical Connection, Inc. Security systems installation shouldn’t be left to amateurs. 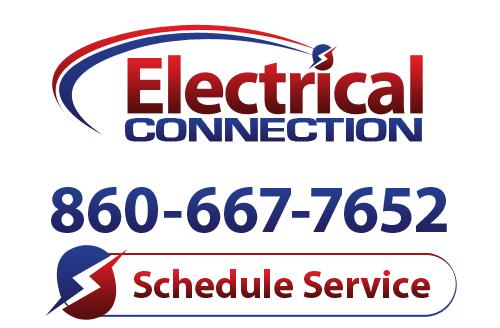 Give us a call today and let the professional electricians in Avon, CT show you what we can do!